No matter how well you plan in advance to try and head off any possible problems or breakdowns, a boat will always find a way to surprise you. By definition, cruising is repairing your boat in exotic places. I don't know if I would classify Marathon, Florida as exotic, but we did find ourselves needing a fairly substantial repair. 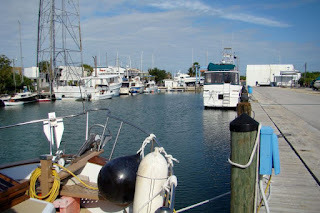 It all began as a casual check and prep for our move to stage at Key Biscayne for a crossing to the Bahamas. Climbing around in the engine compartment, checking fluids and giving everything a once over, I discovered a bit more water in the bilge than normal. We usually try and keep the bilge dry, but a little always finds its way in. Using the trusty wet vac, almost two gallons was extracted - way more than should have been. 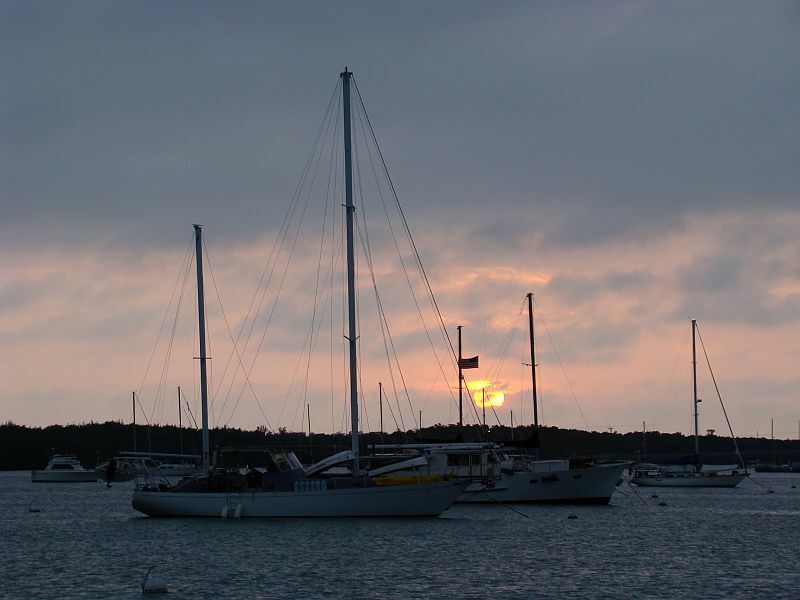 We're still sitting in Boot Key Harbor waiting for the winds to lay down so we can move north to Key Biscayne. That will be our staging point to cross over to Bimini in the Bahamas. While waiting, I thought it might be a good idea to comment on what equipment has been working well and what has not performed for us, since this part of the trip was to be a shakedown for all of the new equipment we have installed. Some has done extremely well, some has done okay and some has just been miserable. The really important stuff has worked as advertised and we're very pleased.